Figure 13b. Recommended LSTTL to LSTTL circuit for applications requiring a maximum allowable propagation delay of 300 ns. Figure 14. 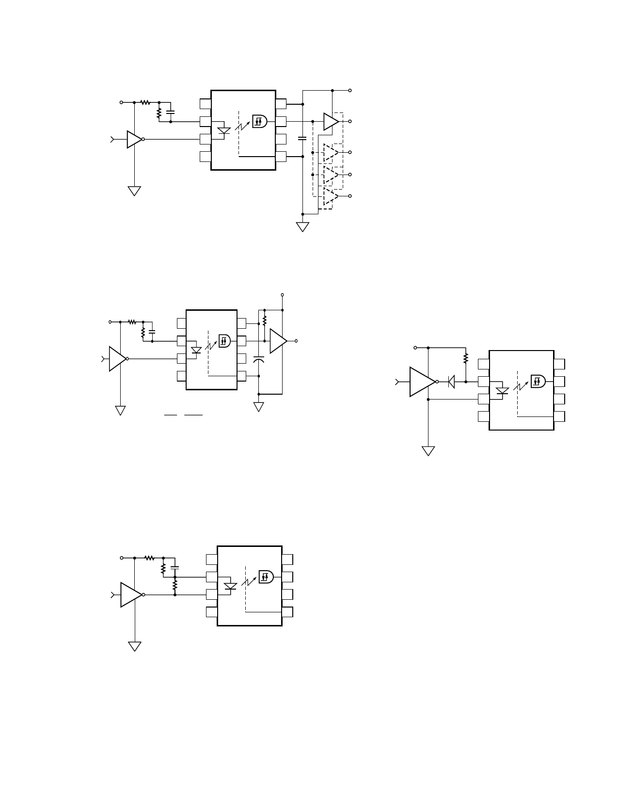 LSTTL to CMOS interface circuit. Figure 15. Alternative LED drive circuit. Figure 16. Series LED drive with open collector gate (4.7 k resistor shunts IOH from the LED).